Welcome to the Inspiration page of the PB Blog it contains a number of links that I would like to share with you. From innovative products, creative practitioners, to fairy tales. The list will be long and diverse and never ending. I hope you find the links interesting and it will be fantastic to share some great work with you. I recently did a search on Etsy and I came across soooo many products inspired by the artist Vincent an Gogh. There was one particular product that stood out for me. It combined my passion for art and fashion combined and here is an image of the gown in question. The shop that you can buy this gown from can be found here. They have loads of amazing items to choose form, so I am sur eyou will enjoy them as much as I did. Image above was provided by the site It’s Nice That where you can find out a bit more about this product and the ideas behind it. Check out this amazing Graphic Designer, I am proud to say she is a follower of mine on twitter. I absolutely love the simple clarity of her work click here for her website. Wonderful work by a photographer called Cole Rise click here to see his images. Laura is an amazing commercial photographer specialising in fashion and beauty. She has a very impressive professional client list including Vivienne Westwood Newcastle & The Royal Photographic Society. You can find out more about Laura here. 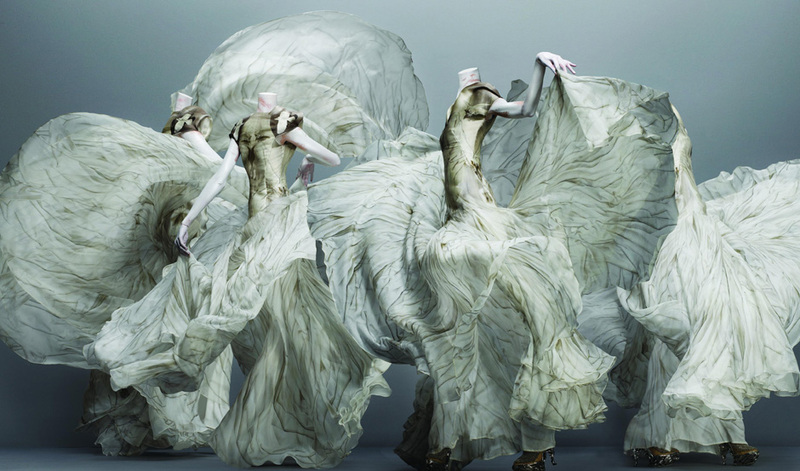 The new Savage Beauty exhibit at the Metropolitan Museum in New York is open until this Sunday (7th August 2011). Everything seems to be happening this weekend. Don’t you just wish you could be in more than one place at a time. Back to the exhibit, it looks exquisite and I will be there in spirit, while I will actually be at my husbands Nana’s 80th birthday celebration!!! This company produce amazing wallets with original artworks printed onto them. Have a look at their truly unique and innovative products. Below is one of my favourite designs. I came across this company recently and their customized invites and stationary are lovely. Have a look and see what you think. I especially like these save the date tags.